Our Emissions Eliminator is proven to significantly reduce asphalt emissions that emanate from “hot” kettles: a necessary requirement when roofing sensitive projects including schools, hospitals and large office complexes. 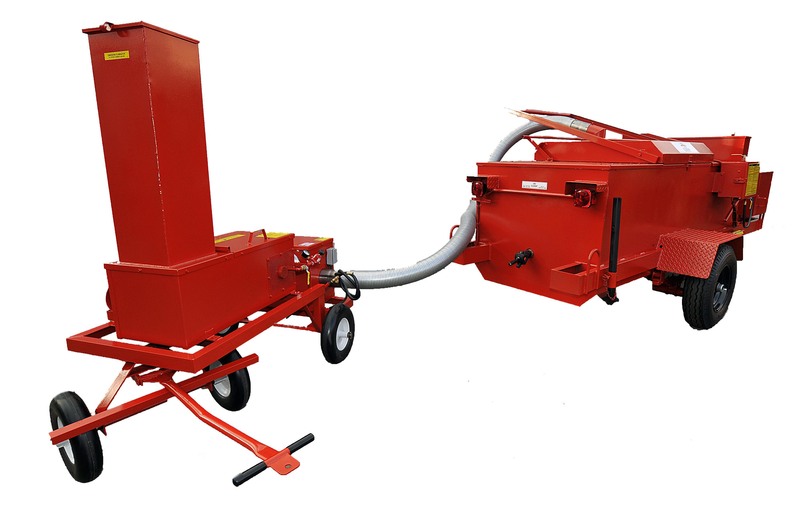 The Emissions Eliminator is a separate unit that connects to the kettle by way of a flexible duct hose designed to hook into a loading lid equipped with an exhaust hood and powered by a fan rated at 490 CFM. The vapors are pulled from the material vat and are passed through the flexible duct hose, through a one-way valve and into the afterburner where they are burned off and released into the atmosphere as clear, odorless exhaust. Unique advantages that set this unit apart from the competition. Maximum Production. Open the kettle lid and load asphalt just as you always have. Use a kettle skimmer to spread the cold material around to speed the melting process. 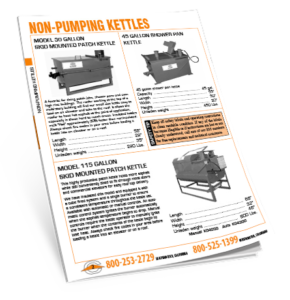 Fume elimination systems that utilize a sealed kettle lid and a roll type loading device prohibit the user from opening the kettle lid and spreading the material. Decrease Coke and Carbon Build-up. Continue to use your kettle skimmer to remove coke and carbon formations from the material vat. Helps avoid costly repairs and unwanted hazards including kettle flashings and slow heating. Monitor the Kettle’s Liquid Level. Visually check the liquid level by opening the lid and looking into the material vat. This will reduce the dangers of a kettle flashing as a result of drawing the liquid level too low and exposing the hot fire tubes. This is not possible on units utilizing a sealed kettle lid. Minimal Maintenance. There are no screens or filters to clean or replace. No additional kettle cleaning or maintenance is required.